One of the first leading localities that declared itself independent from the ‘Premier’ Grand Lodge of England was York, and on the 27th of December, 1726, a new title of Grand Lodge of all England held at York was declared, based on a tradition that began in 926 AD. In this year, Prince Edwin supposedly presided over a meeting of Masons in York, which was seen as the first Grand Lodge in England. The fact that York was an ancient Roman City which was littered with the remains of classical architecture also influenced local Freemasons, Francis Drake for example drawing upon the ancient ruins for inspiration for his groundbreaking history of York; Eboracum. York, like its other northern Roman City Chester, has a strong tradition of medieval Mystery Plays associated with the ancient city’s trade guilds, and has possible early references to ‘speculative’ Freemasonry dating to the 1660s. Chester also has a number of early references to Freemasonry going back to the late seventeenth and early eighteenth centuries, all featuring prominent local families, merchants and tradesmen. The York Grand Lodge kept this traditional link to the Freemen merchants and tradesmen, for example a grocer named Seth Agar was made a Freeman in 1748, became Sheriff in 1760 and Grand Master of the York Grand Lodge in 1767. In 1693 a Masonic document mentions six people who are members of a Lodge in York, and a mahogany flat rule, now held at the York Masonic Hall, displays Masonic symbols, dating to 1663, and mentions three prominent York figures; John Drake, William Baron and John Baron. 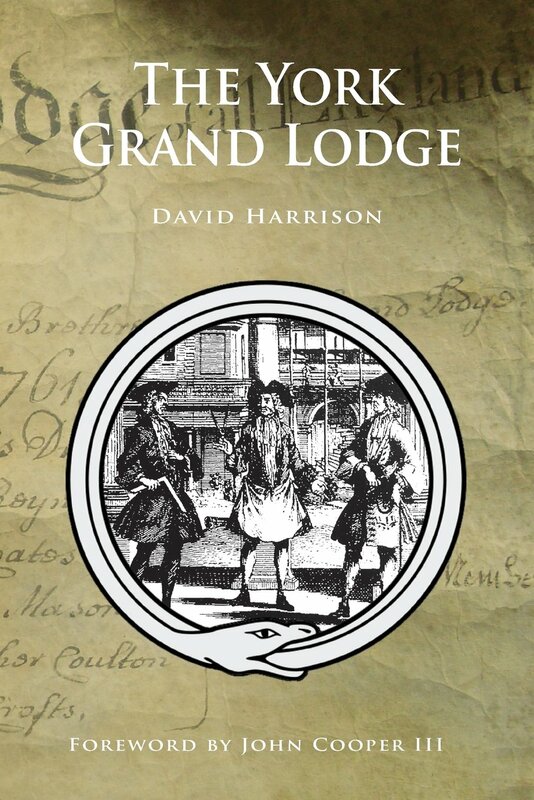 The power struggle that lay behind the formation of independent ‘Grand Lodges’ in the eighteenth century seems to reflect a strong reaction from a localised elite against the audacity of the London based ‘Premier/Modern’ Grand Lodge. The York Grand Lodge was controlled by leading local gentlemen, such as Sir George Tempest Baronet, who is listed as being ‘President’ in 1705. The Right Honourable Robert Benson, Lord Mayor of York (later Baron Bingley) who is also listed as being ‘President’ in 1707, and Admiral Robert Fairfax, MP in 1713 and Mayor in 1715, are just a few of the local elite controlling the York Grand Lodge in the early years. The majority of the gentlemen and tradesmen involved in the Grand Lodge served in local government as Alderman, Mayor, Sheriff and as Members of Parliament for York and the surrounding area, such as Sir William Robbinson who was ‘President’ in 1708 and became MP for York in 1713, William Milner, who also served as a Member for York, and Edward Thompson Esq., who actually served as MP during his time as ‘Grand Master’ in 1729. This strong and close ‘clique’ of powerful local gentlemen seemed to rule the York Grand Lodge completely in the early decades of the eighteenth century. The Freemen tradesmen within the York Grand Lodge also had family connections within Freemasonry such as Leonard Smith, who was also an operative mason. His son followed in his footsteps and also became an operative mason and a lodge member. John Whitehead, a Freeman Haberdasher who became Chamberlain in 1700 and Sheriff in 1717 was the great-great-great uncle of York Grand Lodge historian T.B. Whytehead. Other members who had relatives within the Grand Lodge include Thomas and Josiah Beckwith, George and John Palmes, and the aforementioned Francis Drake FRS, to name but a few. Despite this seemingly harmonious image of close family ties within the ‘Grand Lodge’ structure, it is interesting that Charles Fairfax, who held Jacobite sympathies, was fined and subsequently imprisoned for recusancy in 1715. His house was searched and his gun confiscated, and he was eventually brought before Robert Fairfax (who was Mayor at the time), Sir Walter Hawksworth and Sir William Robbinson, all members of the old York Lodge. Another local gentleman present at Charles Fairfax’s hearing was Sir Henry Goodricke, who married the daughter of another old York Lodge member, Tobias Jenkyns, who happened to be Mayor twice in 1701 and 1720. Jenkyns also served as MP for York in 1715, beating fellow candidate and old York Lodge member Sir William Robbinson. Dr Francis Drake FRS also had Jacobite sympathies, though, as far as can be ascertained he did not become actively involved in any agitation. However, his friend and associate Dr John Burton did become involved in Jacobite intrigues, being imprisoned for a time. A later visitor to the York Grand Lodge who held Jacobite sympathies was local Catholic and Freemason William Arundell, famous for removing the skulls of executed Jacobites from the pinnacles of Micklegate Bar in York in 1754. Arundell spent time in gaol for his actions, and, though having visited the York Grand Lodge, he was blackballed when he was proposed as a member of the ‘Punch Bowl’ Lodge, which came under the sway of the revived York Grand Lodge. In his all-important speech to the Merchant Adventurers Hall in 1726, Drake commented that ‘the whole Brotherhood may be called good Christians, Loyal Subjects, and True Britons’, perhaps asserting that the York Brethren were as loyal as the staunch Hanoverian London based ‘Modern’ Brethren. Despite this assertion, it is suspicious that the York Grand Lodge became quiet during the 1740s and 1750s, the period of the Jacobite uprising. Drake played a major role during the ‘resurrection’ of the York Grand Lodge in 1761, being Grand Master until 1762. He died in 1771. The lack of official York Masonic records during the 1740s and 1750s has led Masonic historians of the nineteenth century, such as Gould, to suggest that the York Grand Lodge quickly went into decline. It has therefore been accepted that the York Grand Lodge became dormant during this period, but was hastily revived in 1761 when it became apparent that the ‘Modern’ Grand Lodge of London had spread its influence and invaded the territory of the old York Grand Lodge. The founding of a ‘Modern’ lodge by a company of actors within the city walls at a tavern called the ‘Punch Bowl’, seemed to have triggered a reaction from a small group of original York Grand Lodge Masons, who quickly ejected the ‘Modern’ lodge, replacing it with their own lodge. The revival of the York Grand Lodge was the result of the involvement of six local gentlemen, led by Drake, and it soon began to flourish again, with ten lodges founded under its jurisdiction. Though during the official ‘re-launching’ of the York Grand Lodge, a number of brethren were present from the usurped ‘Modern’ lodge, some of whom had actually joined the re-launched York Grand Lodge. The majority of the new lodges were located in Yorkshire, but one lodge was founded in Lancashire, and one lodge, the ‘Duke of Devonshire’, was founded as far away as Macclesfield in Cheshire. The Lancashire lodge, situated in Hollinwood, near the cotton producing town of Oldham, was called the Lodge of Fortitude, and was mentioned in the minutes of the Oldham based ‘Modern’ Lodge of Friendship. The minutes refer to various visiting brethren from the ‘York’ lodge attending the Oldham based Lodge of Friendship up until 1795, and various members of the ‘York’ lodge who were also members of the ‘Modern’ lodge were mentioned into the early nineteenth century. These visits provide an insight to the relationship between localised ‘Modern’ lodges and ‘York’ lodges, reminding us that despite the antagonism between Grand Lodges, Freemasons from all backgrounds could still relate to each other at local level. The York Grand Lodge continued to include prominent local gentlemen, such as William Siddall Esq., who served as Mayor the same year he served as Grand Master in 1783, Sir Thomas Gascoigne, Bart., and William Blanchard, who was Grand Secretary, and owned the York Chronicle. Blanchard was also the custodian of the minutes and documents of the York Grand Lodge after its demise, and became the main source of information for Masonic historians in the early nineteenth century. Blanchard presented the Records of the York Grand Lodge to the York based ‘Union’ Lodge in 1837. The York Grand Lodge continued officially until 1792, but may have survived into the early years of the nineteenth century, though no documents are in existence to substantiate this, the last entry in the minute book being on the 23rd of August, 1792. After this date, the surviving York Grand Lodge members, such as Blanchard, the Grand Chaplain Rev. John Parker, and the last Grand Master Edward Wolley, became increasingly involved with the ‘Union’ Lodge, finding sympathy in a lodge which had been founded on the principles of union. The ‘Union’ Lodge was founded in York in 1777 by both ‘Antient’ and ‘Modern’ Freemasons and became a bastion to the memory of the York Grand Lodge. The brethren were still using the York Working of the ritual in 1822 when the lodge finally agreed to adopt the new system, as taught by the Lodge of Reconciliation, which had been set up by the United Grand Lodge. Despite this, the ‘Union’ Lodge decided to continue the York Working as no member of the lodge had seen the new system demonstrated. The York architectural historian John Browne, who joined the ‘Union’ Lodge in 1825, was heavily influenced by Antient York Masonry and studied the Antient ritual, ensuring its survival. Despite this, in a similar fashion to its earlier manifestation, the York Grand Lodge seemed unable to compete with the might of the ‘Modern’ and ‘Antient’ Grand Lodges, fading away in the opening years of the nineteenth century. Click here to learn more about The York Grand Lodge. Gould, History of Freemasonry, pp.407-8. Also see T.B. Whytehead, ‘The Relics of the Grand Lodge at York’, AQC, Vol.XIII, (1900), pp.93-5. Anon., The Antient Constitutions of the Free and Accepted Masons, with a speech deliver’d at the Grand Lodge at York, (London: B. Creake, 1731), p.20. Gould, History of Freemasonry, pp.407-8, and Whytehead, ‘Relics at York’, AQC, Vol.XIII, pp.93-5. Neville Barker Cryer, York Mysteries Revealed, (Hersham: Barker Cryer, 2006), pp.267-8. Barker Cryer certainly supports the view that the Jacobite Rebellion had an effect on the York Grand Lodge, forcing its members to cease their meetings until the political climate had eased somewhat. Paine, Origins of Freemasonry, p.217. Gould, History of Freemasonry, pp.413-5, and Whytehead, ‘Relics at York’, AQC, Vol.XIII, pp.96-7. Visiting brethren from the Lodge of Fortitude are mentioned in the Minutes of the Lodge of Friendship, no. 277, on the 16th of February, 1791 – 23rd of September, 1795, and associated Fortitude brethren are mention up until 1811. Masonic Hall, Rochdale. Not listed. G. Benson, John Browne 1793-1877, Artist and the Historian of York Minster. (York: Yorkshire Philosophical Society, 1918), p.5. The York Grand Lodge Minute Books dating from March 17, 1712 and ending August 23, 1792 are in the possession of the York ‘Union’ Lodge. There are no Minutes however from 1734-1761. Other York Grand Lodge relics, including furniture, jewels and the original Warrant for the Lodge of Fortitude, are all held at Freemasons Hall, Duncombe Place, York, which is the current residence of the York ‘Union’ Lodge No.236. Wood, York Lodge No. 236, p.20. Gould, History of Freemasonry, pp.419-21. Also see Waite, New Encyclopaedia of Freemasonry, Vol.II, p.482. Gould stated that the 1780-92 volume of Minutes from the York Grand Lodge was missing at the time of his writing. As stated above, these Minutes can currently be found at Freemasons Hall, York. The above article is copyright to Dr David Harrison, 2014. The article has previously been published by The Philalethes Journal of Masonic Letters.